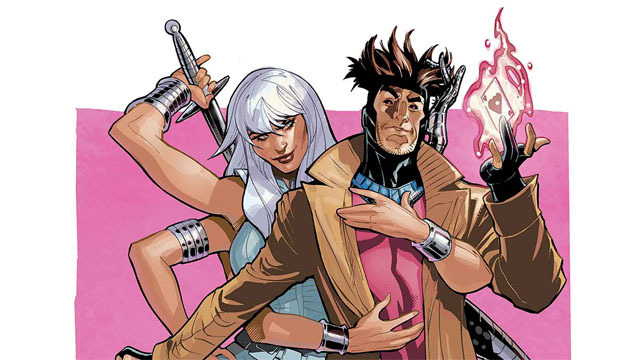 Last year, Rogue and Gambit capped off their long courtship with a surprise wedding. But things have only gotten more complicated since they got hitched. First, the duo was roped into an intergalactic X-Men mission on their honeymoon. Then, Rogue’s powers unexpectedly evolved. Now, she can’t even be around anyone without using a mutant power inhibitor at all times. Leave it to Mojo to take a bad situation and make it worse. After Rogue and Gambit hosted an eventful dinner party, they found themselves trapped in the Mojoverse. Rogue realized that her new Mojoverse life was a lie, but her powers flared out of control and she accidentally killed Gambit. Naturally, that just made Mojo angry. So he wiped Rogue’s memory once again. And he also recast Longshot as her prince and lover. In Superhero Hype’s exclusive preview for Mr. and Mrs. X #8, Kelly Thompson and artist Oscar Bazaldua reveal that Gambit isn’t out of the picture yet! Death is just a coffee break in the Mojoverse, but neither of the newlyweds are in their right minds at the moment. 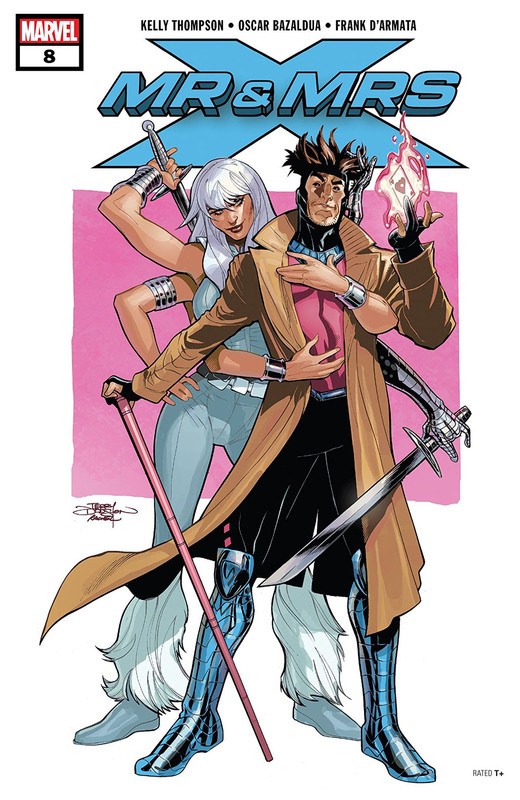 And for the first time ever, Gambit and Longshot are going to face off for Rogue’s heart. It’s the ultimate battle of luck vs. charm! But we can always count on Gambit to have a few aces up his sleeve. You can read the full exclusive preview in our gallery below. Mr. and Mrs. X #8 will be released on Wednesday, February 13. What did you think about the preview? Let us know in the comment section below!